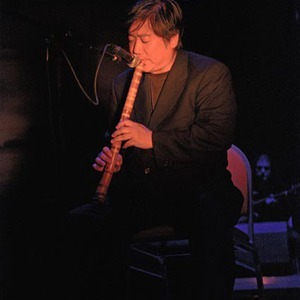 Japanese musician, famous bamboo flute player, who likes west coast music... The most famous bamboo flute player in the contemporary music field Kazu Matsui started his "Kazu Matsui Project" in 1981. Beside the "Project", Kazu Matsui has build up a career by playing the traditional Japanese instrument Bamboo Flute, and you can hear him on several movie soundtracs, where "Shogun" is one of them. His wife Keiko Matsui has released several jazz fusion album, where you can hear Kazu as a producer.